How to convert MKV to QuickTime MOV on Mac? "I have OS X Lion and want to play mkv media files. I used to have Perian so I have installed it again, but the QuickTime X keep saying it doesn't support MKV? Any tips?" Perian is a free QuickTime component that adds native support for many popular video formats. It works perfectly even "like a charm" for most of the MKV files on Mac. The Perian 1.1.4 is compatible with OS X Lion, but if you want to open MKV files in QuickTime X, you can get this application installed to fix it. You can also switch to VideoLAN VLC media player. VLC player supports all the video and audio streams you will find in an MKV file. You need not to install any codecs or filters to play .MKV files. The above Perian and VLC Media Player are not the best solution if you want to play your MKV (or HD MKV) videos on Mac. iFunia Video Converter for Mac can help you convert your MKV file to QuickTime format or any other popular file formats like MP4, WMV, MOV, FLV etc. You can also enjoy the converted files to your iPod, iPhone, PSP, Zune, and many other popular digital players for playback on the go. Head over here and download the free trial version, the program is perfect compatible with macOS High Sierra and convert MKV to QuickTime MOV with just three easy steps. Here is how. Now run iFunia Video Converter for Mac. Click the Media Browser icon at the upper right corner to add MKV or HD MKV video files. The app also supports drag-and-drop. You may add as many videos as you want for MKV to QT MOV batch conversion. This is optional. But if you want to output 1 MOV file for easily playing on Mac, simply click on the video titles you'd like to merge , then click 'Merge' button at the bottom of the app and uncheck the former separate files if you just need the single merged video file. Step 2. Set the output format as QuickTime MOV and other settings as you like. 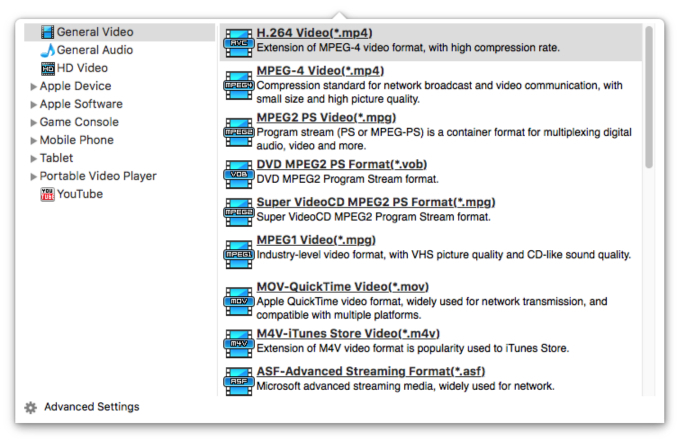 Select MOV as the output format for each video file. You can change the output settings as you need. Remember that the output file size mostly depends on the Bitrate you set. Larger Bitrate, larger file size. Actually video with bitrate as 768 is acceptable for watching. Now you may click the conversion button to begin converting MKV to MOV video.The convert progress bar shows you how much of the encoding is completed. The encoding time will depend on several variables including: the duration of the video file, the speed of your computer, what other activity your computer is currently doing and the bitrate you set.